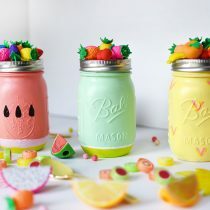 Oh the mason jar and your endless crafting possibilities! 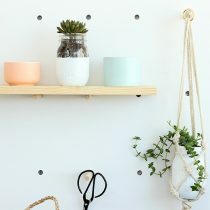 Who knew a simple glass jar would be so loved by crafters everywhere? For June’s Supply of the Month Challenge with Oriental Trading, we were given a set of mason jars and set loose to make whatever we wanted. 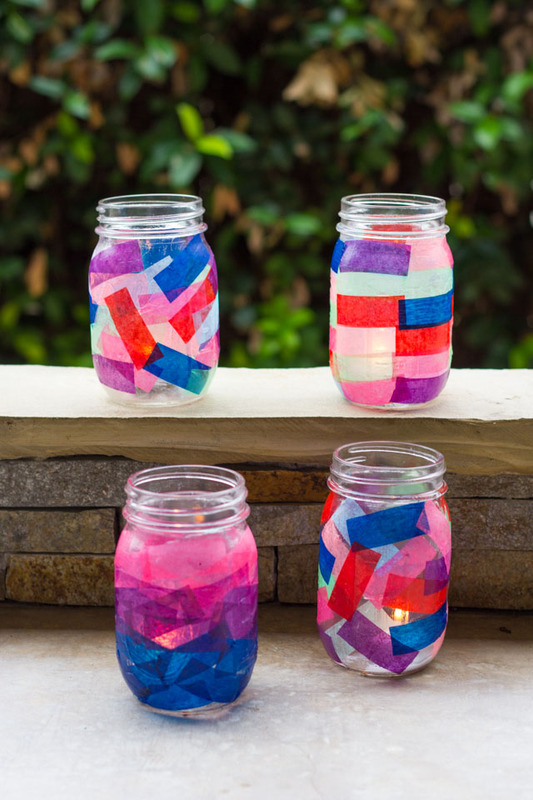 With summer on my mind, I decided to turn the glass jars into colorful outdoor lanterns. 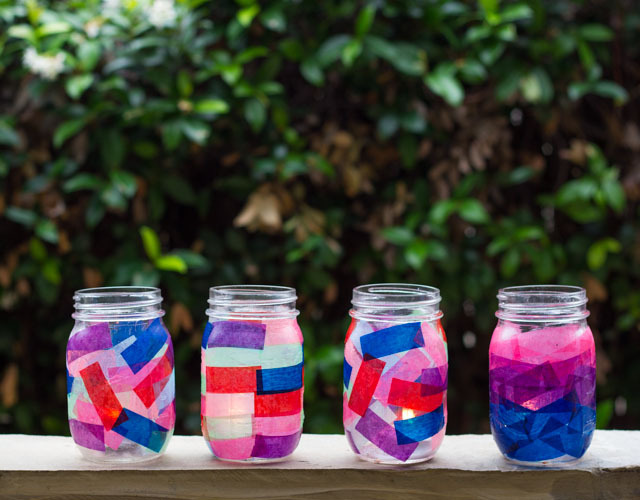 Read on to see how simple these are to make and check out what the other four crafters made with their mason jars for this month’s challenge! 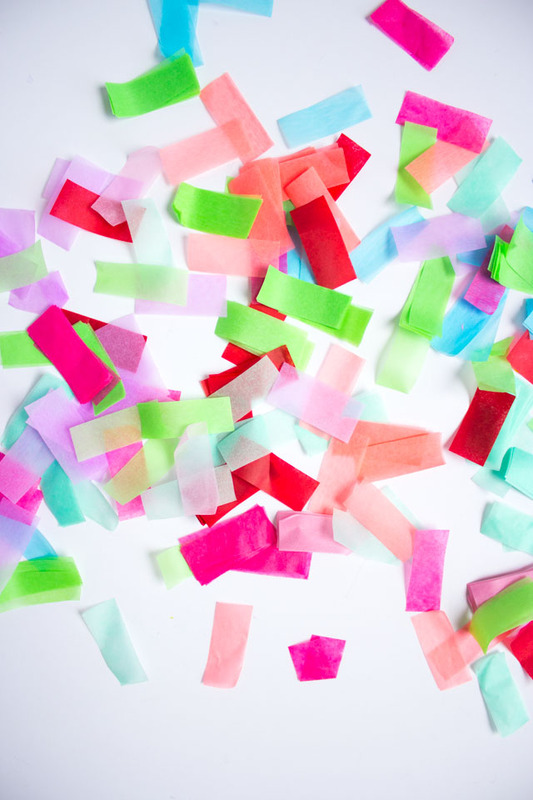 Tissue paper and Mod Podge are a match made in heaven, and I love this precut tissue paper confetti from Oriental Trading (find similar products here and here). 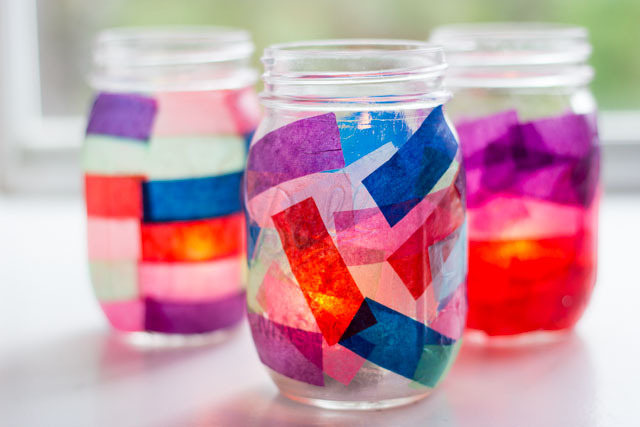 To add the tissue paper to the jar, you first cover the jar with a layer of Mod Podge, press the tissue paper on top and seal with another layer. 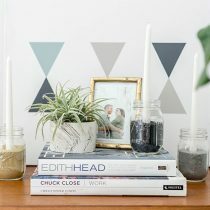 If you’ve never tried decoupage before this is the perfect introductory project and it is a really fun one for kids too! 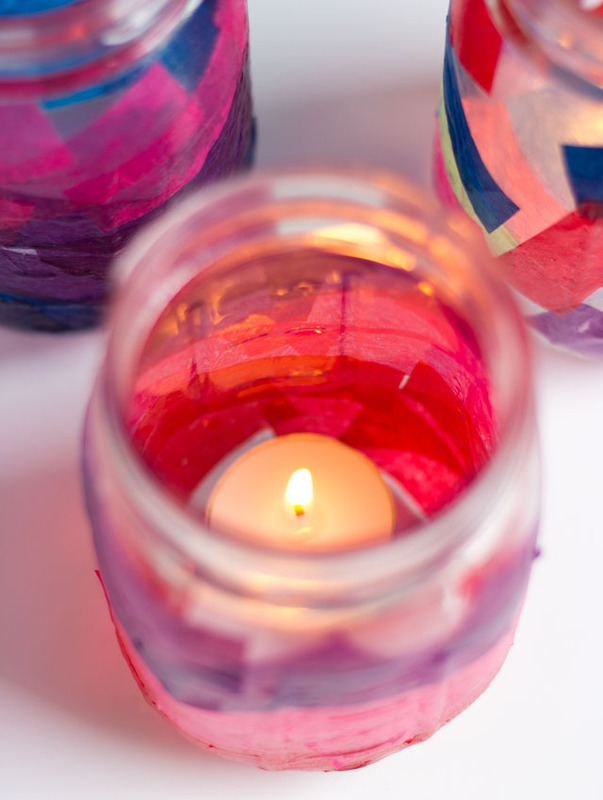 Turning a jar into a lantern is as simple as adding a small tea light candle inside. The high sides of the mason jar make it a perfect vessel from protecting the candle from the wind. Battery operated tea lights are another great option for these lanterns. Head to Oriental Trading’s blog for the step-by-step mason jar lantern tutorial and to check out these other fun mason jar crafts!